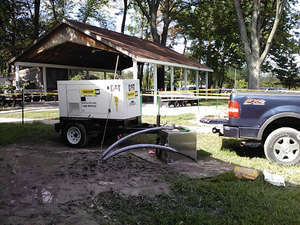 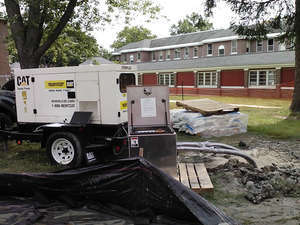 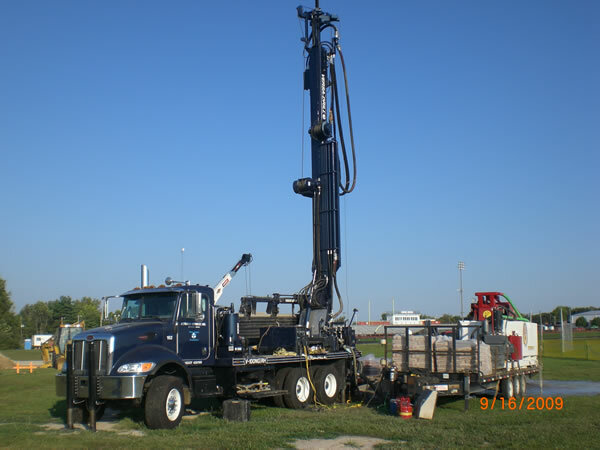 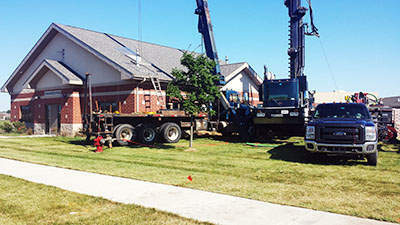 Peerless-Midwest is an International Ground Source Heat Pump Association (IGSHPA) accredited well driller and installer, We provide well drilling in Indiana, Michigan, Illinois, Wisconsin, and Boulder Colorado. We utilize the latest technologies and equipment for well drilling and installation of closed loop, open loop and standing column systems. This is the most common method of drilling test wells and small diameter production wells due to its drilling speed and efficiency. 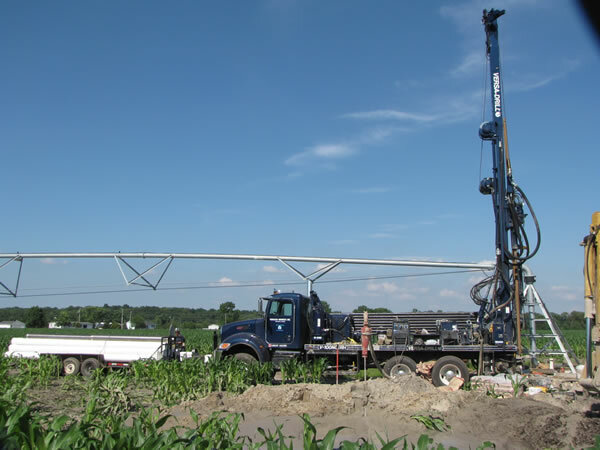 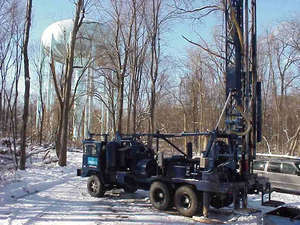 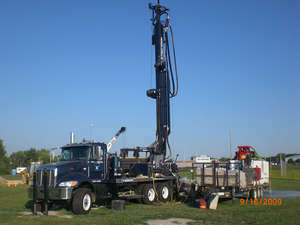 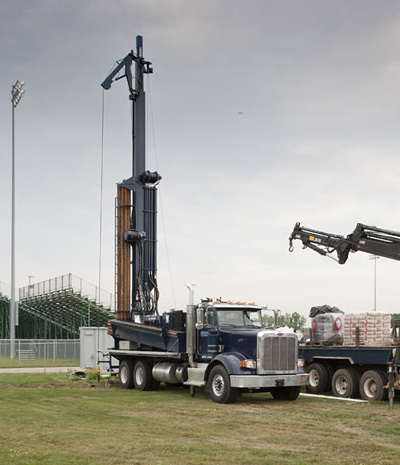 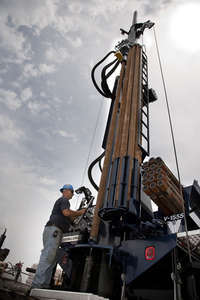 Boreholes up to 24" are possible using either bentonite drilling fluids or air to clean the cuttings from the hole. 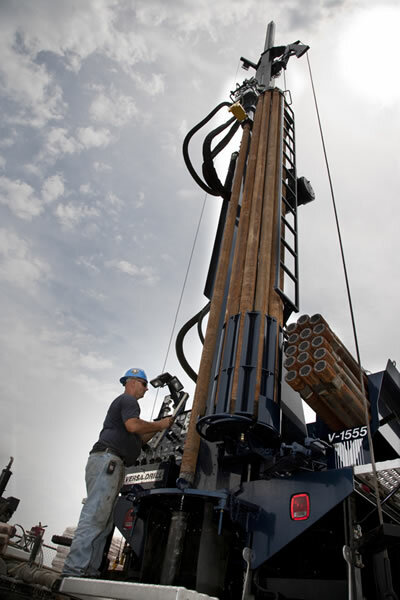 This method of well drilling provides an excellent approach to drilling in rock (consolidated) formations like limestone or sandstone. 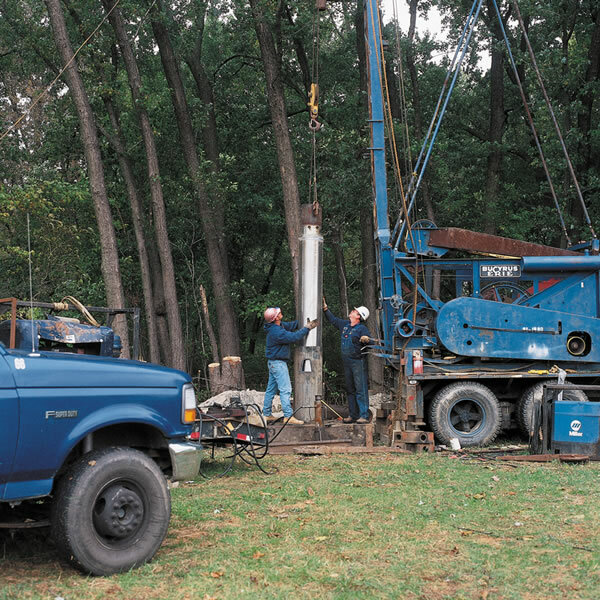 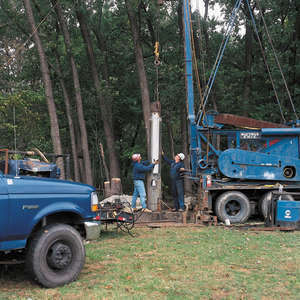 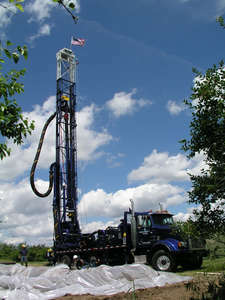 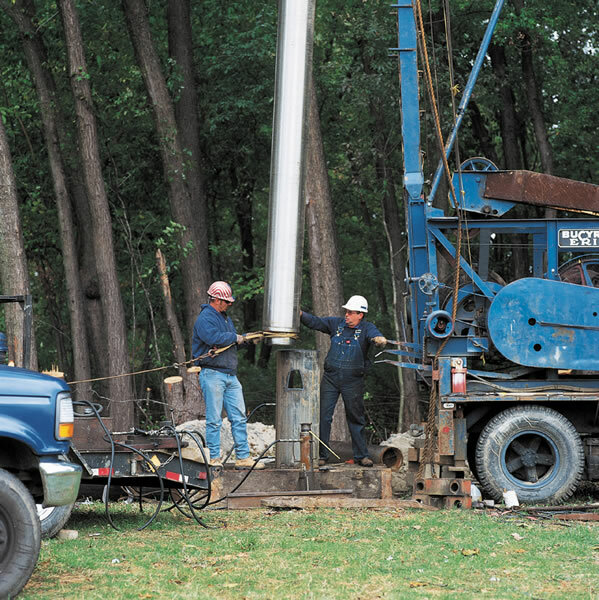 In sand and gravel (unconsolidated) formations, reverse circulation drilling is most often the method of choice for large diameter boreholes (up to 48") and high capacity well construction. Only clear water is used during the process, avoiding the use of drilling muds that can plug the formation and require extensive development. 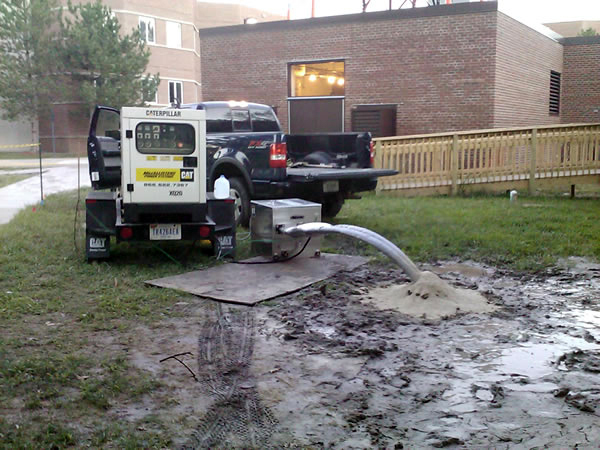 This method provides highly accurate formation sampling which ensures proper screen and gravel selection. 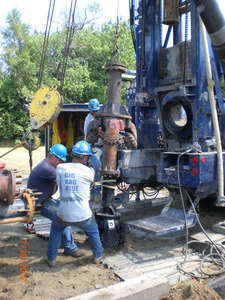 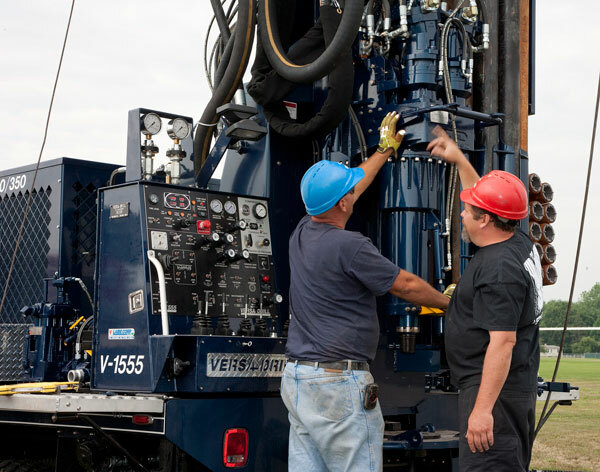 Since no drilling fluid or circulation pit is required, cable tool drilling is often selected for environmental remediation recovery wells and nested monitoring wells. 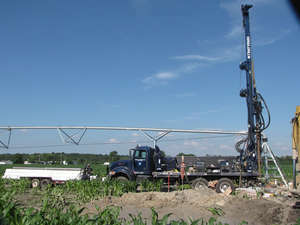 Formation sampling accuracy is excellent, allowing for precise well screen selection. 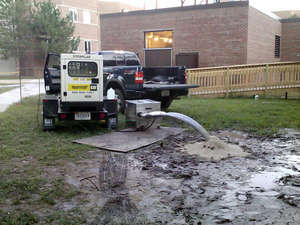 This method is very effective for shallow water supply wells or where boulders and cobbles are encountered. 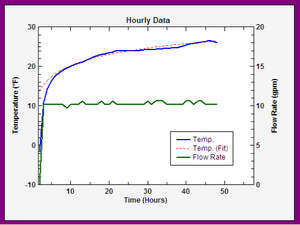 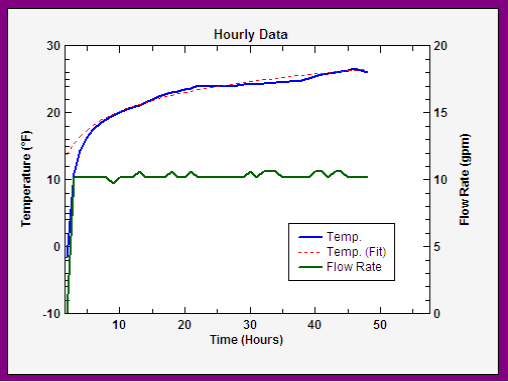 Our Hydrogeology Group is experienced in Thermal Conductivity Testing and Reporting, utilizing the GeoCube testing unit and the most up-to-date ground loop design software.